But, they're top level reasons right? If you want to know why these differ to what other COS's claim (and more importantly, if it’s right for you), carry on reading. HubSpot’s initial cost is incredibly appealing, starting at £165 per month; however, depending on what you want from the software, it can cost you upwards of £1,960 per month. Steep, we know, but that cost should be seen as a mere investment for the amount of value you get back. Whilst each plan has differing features, they all have the same outcome: great value for money. First and foremost, the quintessential feature (and selling point of HubSpot - may I add) is that it’s one of the first - if not “best” - all-in-one inbound marketing solutions which offers closed-loop reporting. By having all of your marketing tools, plans and results all in one place, it allows for informed planning, forecasting and, more importantly, execution. In doing so, you’ll save a large proportion of marketing spend through having all of you historical data and opportunities in one place; you’ll have complete clarity on if something worked or not previously. You can then reallocate this saved spend into your HubSpot costs and still have a considerable amount left. Your Marketing Dashboard offers complete clarity. Leading on from the last point, HubSpot is an all-in-one marketing solution; therefore, everything works in sync with each other, from your on-page optimisation to the big one: e-mail automation. By having all of your data in one place it allows for seamless collaboration without you having to touch it, because everything is designed to work together. From SMART call-to-actions, to workflows, to smart forms, all of this data reads the visitors to your site and judges the next step to take and what to show them, so essentially no visit is the same. An overlooked benefit, but HubSpot is actually great value for money even for the first-time inbound marketers as you get expert support regardless of the plan you take out, either with HubSpot directly or as a HubSpot certified agency. If you choose the latter, your initial onboarding cost is waived completely - making that once steep price that ever-more bearable (however, your chosen agency will have their own costs, mind you). But hear me out, when you compare this platform to other content optimization systems, such as WordPress or Marketo, you can find yourself lost and drowning in the sheer depths of features each has to offer. 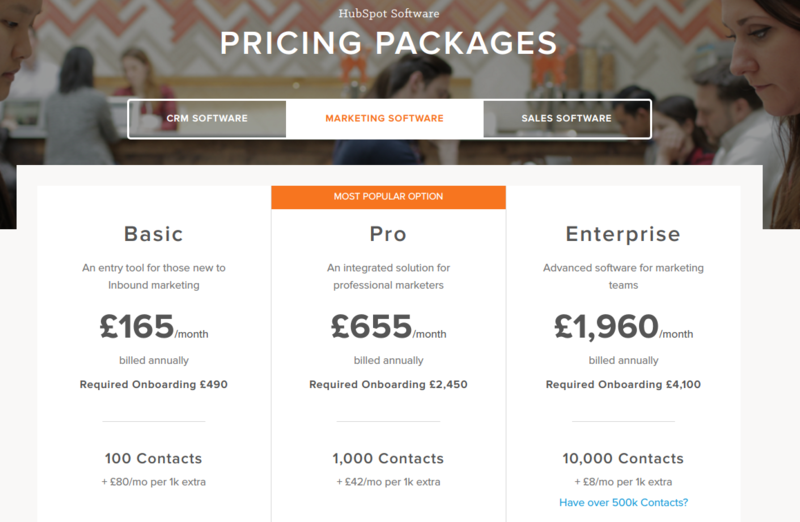 That higher price you pay for HubSpot is not just for the software, but it’s more so the convenience and experience you have alongside it. Which, fear not, you’ll recoup much quicker as you get up and running a lot faster and smoother with your inbound marketing. 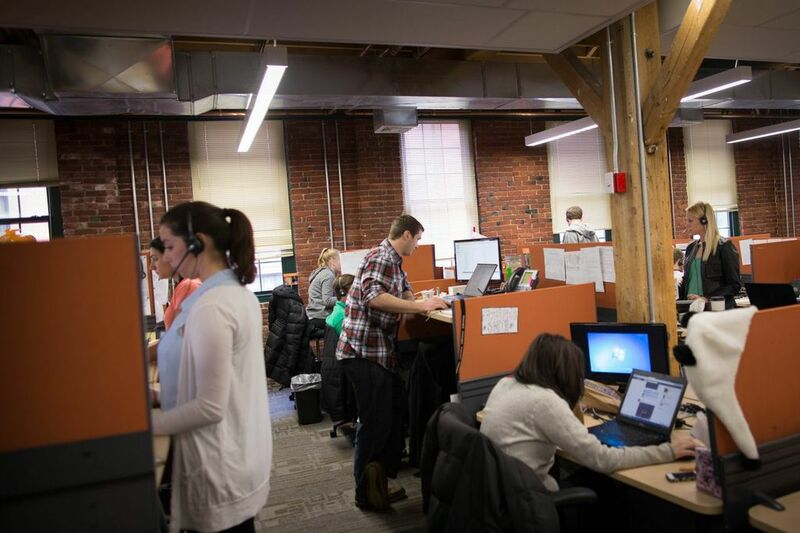 The HubSpot Sales Room. Image Credit. Whilst you’ll get expert support from HubSpot or an agency of your choosing, your one license will allow you to have an unlimited amount of users to collaborate on your HubSpot account, a feature which often comes at a premium with other COS providers. The reassurance of having a team working on your account will mean you can dedicate more time to your inbound campaign - results are better and quicker. You’ll have greater ROI than you would having to pay for this feature elsewhere, and allowing others to collaborate means you don’t have to detract time from other areas of your business. HubSpot’s abundance of features and collaborative nature means it will always drive the most relevant and qualified traffic to your website. The volume of that traffic? Depends on how focused and intensive your inbound marketing strategy is. Nevertheless, this traffic you’re gaining from SEO, E-mail, Social Media and the likes is FREE and consistent which means you’re not having to pay for more relevant traffic via PPC, new software licenses, hell, even by outsourcing your work for better results - it all comes at a cost (which HubSpot saves you). So is HubSpot worth it then? I’m a strong advocate of HubSpot. I’m amongst an ever-growing community who all agree HubSpot is worth it if you’re willing to dedicate your marketing efforts to it. The results of inbound marketing are not instant, and requires a certain degree of time spent in tailoring the system to what you need from it. Need a minor change? No more webmaster fees. Need to tweet/post an announcement? No more wasted time on separate platforms. Need to follow up leads? No more intensive research on each prospect as HubSpot already knows it. Need a strategy? HubSpot has been grading your website from day one and has a long list of opportunities to keep you busy, no more consultants. So, whilst the results aren’t instant - you’re always ahead by taking up a plan with HubSpot, but if you’re looking to get even further ahead you can check out these inbound marketing tips and tricks below.